Colin read Natural Sciences at Gonville and Caius College, Cambridge, where he was a senior scholar. He graduated with a first class degree in Zoology. He completed his PhD with Sir Michael Berridge in Cambridge working on insect physiology, before moving to Jim Putney’s lab in Virginia to work on phosphoinositide signalling. He returned to Cambridge to a research fellowship at St John’s College Cambridge and Royal Society Locke Research Fellowship in the Department of Zoology. His appointment to a lectureship in pharmacology at Cambridge, held alongside a Lister Institute Research Fellowship, allowed him to establish his own research group which since then has explored various aspects of IP3-regulated Ca2+ signalling. Since 2001, he has held a personal chair in cellular pharmacology at Cambridge. 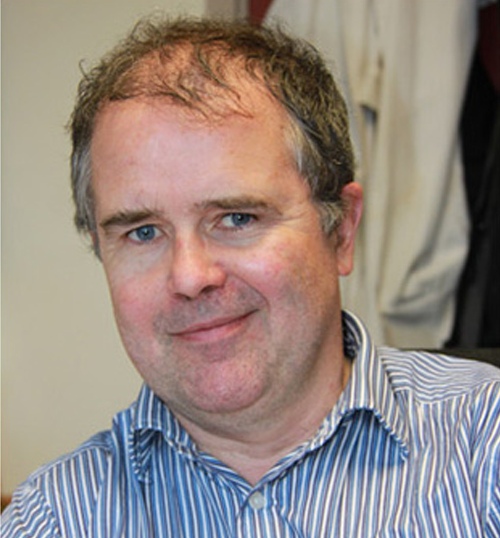 He was elected to Acadamia Europaea in 2013, awarded a Wellcome Trust Senior Investigator award in 2014, and elected to the Academy of Medical Sciences in 2016.